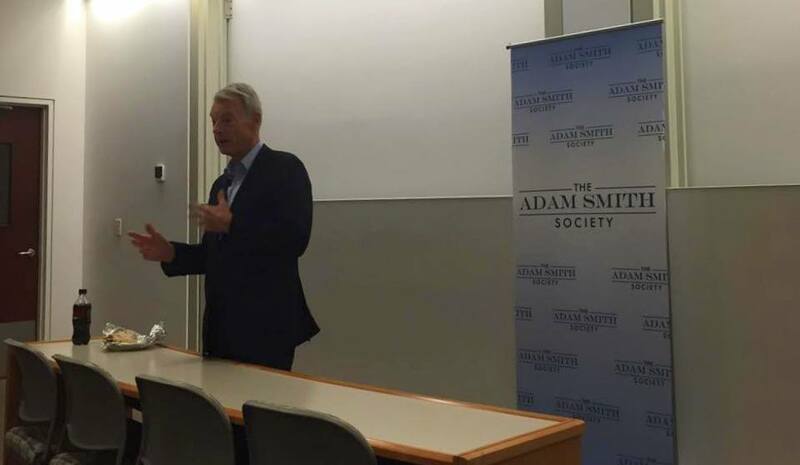 The Smith Soc NYU Stern chapter hosted Dr. Michael Spence, winner of the 2001 Nobel Prize in Economics, for a lunch-time talk on December 10th. Dr. Spence has been the William R. Berkley Professor in Economics & Business at Stern since 2010. He is a senior fellow at the Hoover Institution and the Philip H. Knight Professor Emeritus of Management in the Graduate School of Business at Stanford University. The Smith Soc Chapter at the Carnegie Mellon Tepper School of Business welcomed Brian M. Carney, member of the Wall Street Journal Editorial Board, for a talk on December 8th. Carney is the co-author of the book, Freedom, Inc.: Free Your Employees and Let Them Lead Your Business to Higher Productivity, Profits, and Growth. 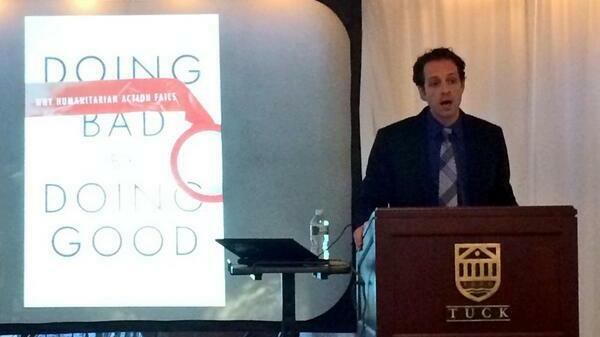 On May 7, the Dartmouth Tuck chapter of Smith Soc hosted Professor Christopher Coyne for a talk. Coyne is the F.A. Harper Professor of Economics at George Mason University and the Associate Director of the F. A. Hayek Program for Advanced Study in Philosophy, Politics, and Economics at the Mercatus Center. The Smith Soc Chapter at NYU Stern hosted Juan Carlos Echeverry, the Executive Director of the Interamerican Bank of Development (IDB) for Colombia and Peru in Washington, for a talk on May 6. Mr. Echeverry discussed market liberalization and policy in Colombia and Peru. He demonstrated how market freedoms and continuity on public polices have helped to create flourishing business opportunities in Colombia and Peru. Private sector investments are driving economic growth in these countries thanks to clear rules and institutional improvements. 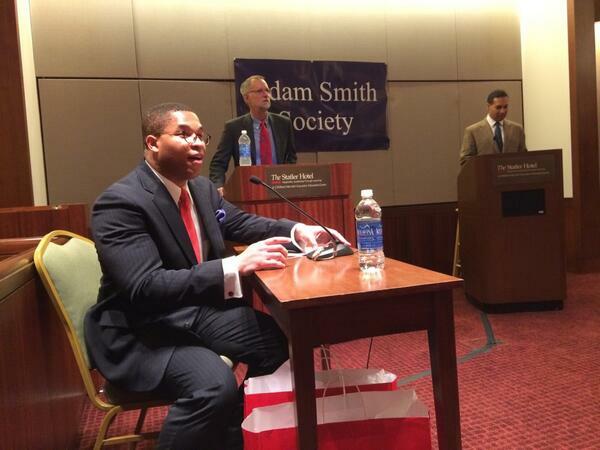 On Tuesday April 22, the Smith Soc Chapter at the Cornell University Johnson Graduate School of Management hosted a debate on healthcare policy. Participants were Manhattan Institute Fellow Avik Roy, a former advisor to several Repulbican presidential candidates on healtcare, inlcuding Mitt Romney, and Professor Robert Frank, the Henrietta Johnson Louis Professor of Management and Professor of Economics at the Johnson School. Smith Soc hosted a lunchtime debate over the 2010 Dodd Frank Wall Street Reform Act and its implications. Manhattan Institute Senior Fellow Diana Furchtgott-Roth debated with Will Marshall from the Progressive Policy Institute. 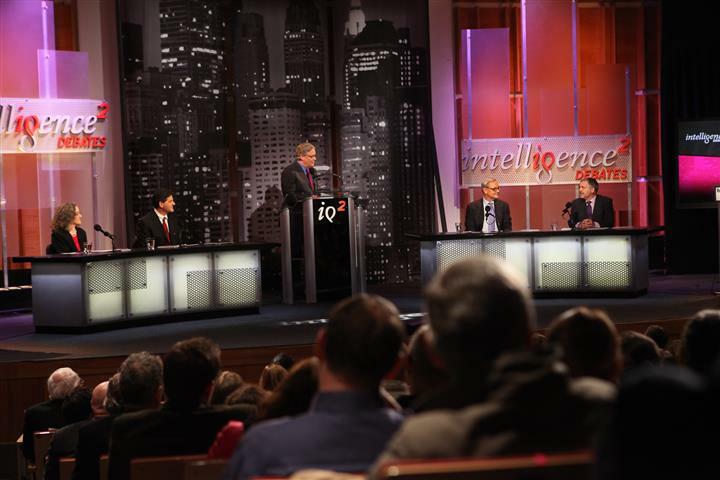 David DesRosiers of RealClearpolitics moderated the debate. 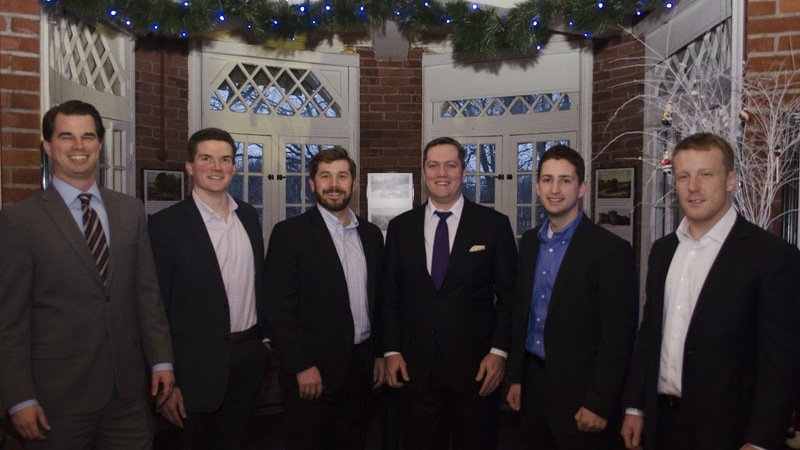 The event was a part of the Northwestern University Kellogg School of Management chapter's Trek to Washington, DC.